Hot Seller – Better Than Even Cannabis Oil – Organic Aloe Pain Reliever – Fast Acting & Long Lasting Pain Reliever for Muscle, Joint, & Back Pain – 8 ozs. 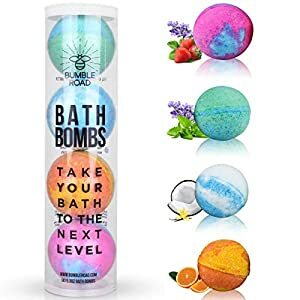 EXTRA LARGE – Each Tube Has Four Extra Large (5.3oz) Premium Bath Bombs (size of a baseball). PREMIUM QUALITY – Our Bath Bombs Are: All-Natural, Non-GMO, and Cruelty-Free. Sourced from the highest quality ingredients. PAMPER YOUR BODY – Get Silky Smooth Skin From the Essential Oils, Shea Butter and Epsom Salts. Safe for All Types of Skin Including Sensitive Skin. Reclaim Bath! Our Bath Kiss Bath Bombs Contains 6 Unique Encounters That Will Take Your Senses To A Place You Can Only Imagine. What are you in the mood for? Great Gift idea for Everyone. Holidays, Best Friend Gift, Christmas, A Birthday Gift for Mom or Dad, Valentines Day, Don’t forget Teacher Appreciation, Realtor, Housewarming or A New Mom. Women, Men, Kids, and Teens of all ages will love these fizzy treats. Bootlegged Phase I Oil reduces skin pain and promotes healing. 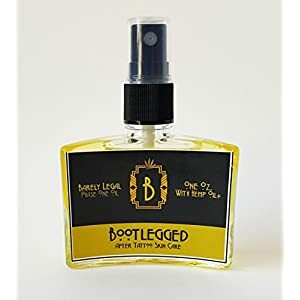 Bootlegged Phase I Oil for skin is pure, 100% vegan, lightly scented with essential oils, and crafted in small batches using the finest organically grown hemp and coconut oils, a proprietary blend of skin-friendly terpenes for full entourage effects. Our Phase I Oil is a highly concentrated whole hemp plant extract. Each one oz. 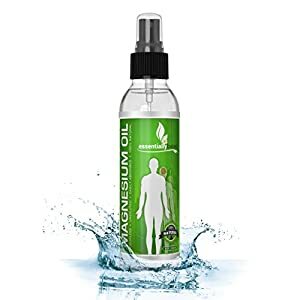 bottle contains 825 mg of hemp oil extract. 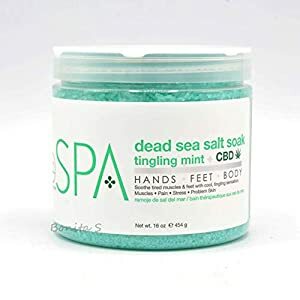 Try it for new tattoos, minor cuts, minor burns, itching, rashes, psoriasis, acne, bug bites, etc. Treat your skin with one of nature’s most healing plants. Don’t settle for less. Our customers tell us that Bootlegged Phase I Oil reduces pain, speeds healing, reduces flaking and inflammation and MUCH MORE. For tattoos, your body art experience will be more enjoyable with better results. With Bootlegged Phase I Oil you will get all the benefits from one of the most healing plants as well as one of the most renewable resources on the planet. Our oil is loaded with the full spectrum of healing hemp compounds, flavonoids, protein, essential amino, omega fatty acids and a PROPRIETARY BLEND of penetrating skin friendly phyto-terpenes. ✅ HEMP | CANNABIS SATIVA ~ this is not going to make you smell like a pothead but it is our most healthiest product. 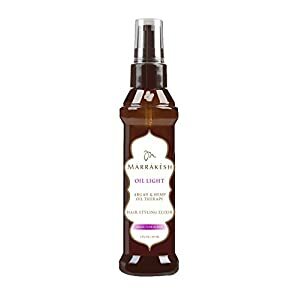 It has a simple light plant based scent (Hemp seed oil’s EFA compliment include polyunsaturated fatty acids, omega-3, omega-6, omega-9, linoleic acid & gamma acids (GLA’s) not found in ANY other oil. 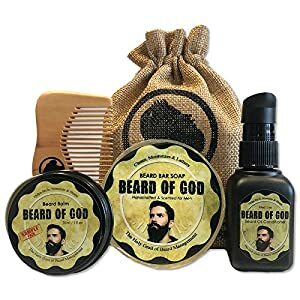 This is excellent for your skin & beard! ✅ OUR MISSION – To help stop your beard from drying & being brittle as it penetrates right down to your skin keeping it dandruff free, moisturized, styled & healthy like the Beard of God. 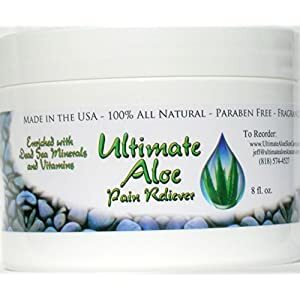 Hot Seller Ultimate Aloe is pain relieving the natural way without toxic chemicals such as in most pharmaceuticals. Get rid of chronic pain such as back pain, neck pain, fibromyalgia, muscle tissuel and soreness from exercising. Don’t let RA, bursitis, muscle cramps, sprains and leg pain get in the way of doing the things you enjoy doing..
Do you have pain in the feet known as plantar (sole of the foot) fasciitis (bundled nerves) in general? Let the analgesic action of Ultimate Aloe Pain Reliever naturally aliviate these symptoms of the pain problems. 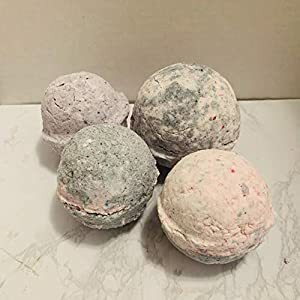 Peace, Love, and Relaxation – The (2-Pack) Cannibomb fizzy bath bombs is made with hemp seed butter to soften the skin and help your aching muscles and racing mind unwind. 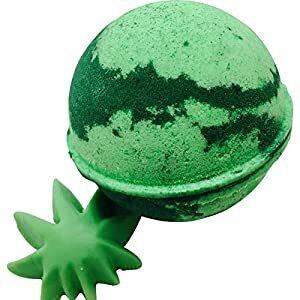 Classic Hemp Color and Design – Our lush adult bath bombs are made with the classic green color and plant-shaped design of the cannabis for a fun, novelty look. Rejuvenating Aromatherapy – Handcrafted with premium ingredients, it will leave your skin feeling silky soft while the natural marijuana fragrance relaxes the senses. GET A SUPERIOR QUALITY FIZZIES SET! 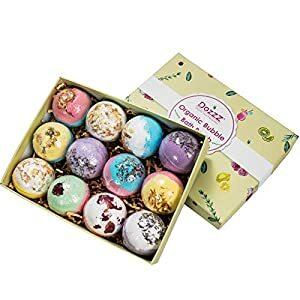 Handmade with moisturizing and skin replenishing ingredients, natural clay and salt minerals, shea & cocoa butters, sunflower seed, baking soda & essential oils, these fizzy bath bombs will soothe hydrate your skin in depth, leaving it divinely scented! A GIFT BOX WITH 6 HEAVENLY SCENTS! Reap the benefits of aromatherapy with the most beneficial essentials oils fizzies collection. 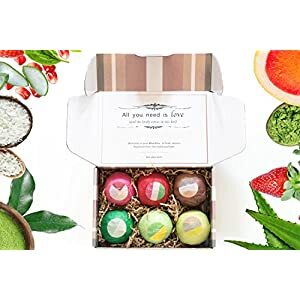 Sea, Rose, Ocean, Lavender, Vanilla and Chewing Gum bath balls luxuriously packed in a high-end GIFT BOX and ready to be offered as an unforgettable gift. 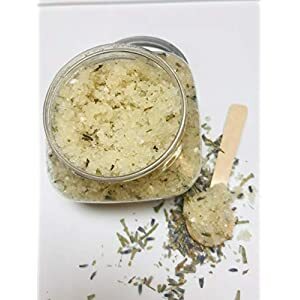 A 100% SAFE, CRUELTY-FREE FORMULA: At DOZZZ we walk the extra mile to ensure that our bath salt bombs are made from 100% CRUELTY FREE & Parabens-FREE ingredients! And we are offering you this premium bath bombs set that are perfectly safe, causing no irritations on your delicate skin.